"Absorbents International Provides Quality Products while Guaranteeing the Lowest Price"
Absorbents International's Floating Turbidity Curtains are manufactured to meet and exceed USA DOT Floating Turbidity Barrier / Silt Curtain requirements. Absorbents International's Oil Containment Booms are manufactured to meet and exceed OPA 90, US Coast Guard - OSRO and ASTM F1523 guidelines. All products are manufactured with quality control in place as we strive to meet, beat and set new industry standards in a world market. 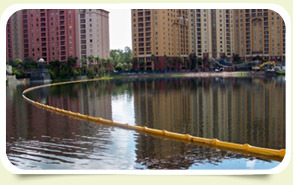 Absorbents International's Floating Turbidity Curtains consist of DOT Compliant Type I, II & III (Calm Water, Moving Water & Tidal) Permeable & Impermeable Curtains, Dredging Barriers and Baffles. 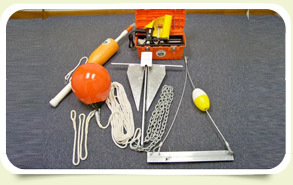 We also carry accessories such as Anchor Systems, Marker Lights & Tow Bridles. We comply with your state DOT requirements and we always have Silt Curtains in stock. Absorbents International provides an extensive range of Conventional & Reelable Oil Containment Booms for most applications. 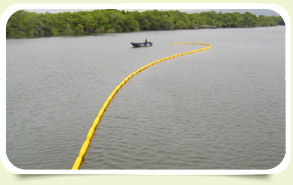 Absorbents International's oil only 5" & 8" absorbent Boom, Pads, Rolls, Spill Kits and Socks are an effective and economical way of controlling and recovering small to medium size oil spills in marinas, ports, harbors and industrial applications. 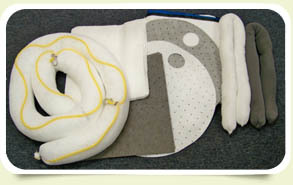 Absorbents International's oil only absorbents have excellent oil absorption & retention capacity while repelling water.